In this cider blog, we are going into a new everyday cider from Blake’s Hard Cider. It is their former summer seasonal, which is called Wakes Fire Cider. If you read my earlier cider blog posts on their ciders, you know the history of this Michigan’s biggest cider makers. If you have not, please, read them to get to know this Michigan base cider makers. Let us get into this cider. This cider has a clear golden color without a head on it. The aroma has a orange and slight cherry notes. The taste has a sweet cherry with a hint of orange notes. The aftertaste has an apple juice finish. It is pretty drinkable cider. In this beer (cider) blog, we are going to get into the summer seasonal from Blake’s Hard Cider. It is their Wake Fire Cider. If you read my earlier cider blog posts on their ciders, you know the history of this cider maker. 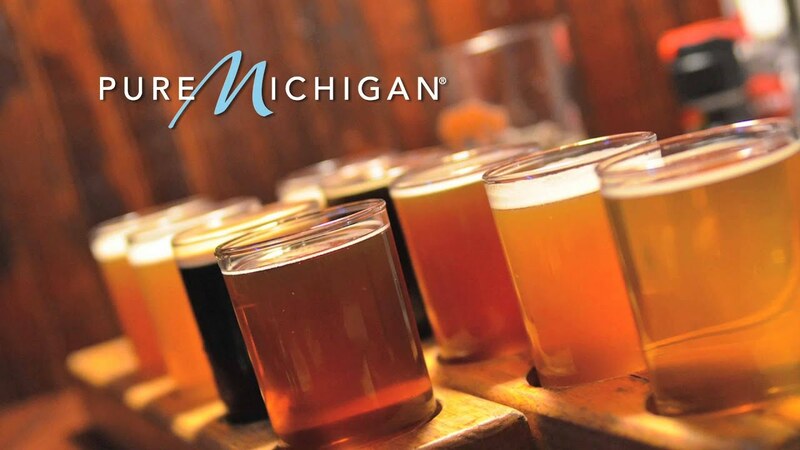 If you have not, please, read them to get to know this Michigan cider makers. Let us get into this summer cider. It has a white to lemonade color without a head on this summer seasonal. The aroma has a faded apple and slight orange notes. The taste has a heavy sweetest of orange and apple with a sweet tart cherry aftertaste. It is pretty drinkable cider. In this beer (cider) blog, we are going to sample a new and special release cider from Woodchuck Hard Cider. It is their Out On Limb Cheeky Cherry Sour Cherry. If you read my earlier cider blogs posts on their ciders, you know the history of East Coast Cider makers. 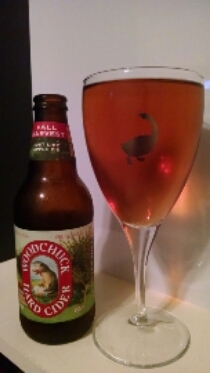 If you have not, please, read them to get to know Woodchuck Hard Cider. It has a clear red cherry color without a head on this hard cider. The aroma has sweet to slight sour cherry notes. The taste has a heavy sweet cherry with a slight sour to tart cherry aftertaste. It is pretty drinkable cider. Get your cell phone out and prepare the selfie cam people! This cider features a bright pop of crisp apple and sour tart cherry notes that are sure to have your face in prime selfie shape. Cheeky Cherry is crafted from bittersweet balanced between the sweet juice and sour cherries which are infused post-fermentation. Check out Cheeky Cherry if you are looking for a next level cider. Get your cell phone out and prepare the selfie cam people! This cider features a bright pop of crisp apple and sour tart cherry notes that are sure to have your face in prime selfie shape. Cheeky Cherry is crafted from bittersweet cider apple varieties and perfectly balanced between the sweet juice and sour cherries which are infused post-fermentation. 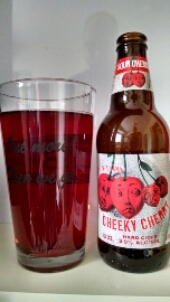 Check out Cheeky Cherry if you are looking for a next level cider. 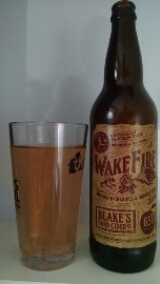 In this cider blog, we are going to the first cider from Blake’s. It is their El Chavo. There is not much history on their website. I do know they have been in business less than five years. They make several different Hard Cider. There is about 12 different Hard Cider on tap in their Taproom. Let us get into this Hard Cider. This cider has a clear light yellow color without a head. The smell has a slight mango and hints of Habanero peppers. The taste has a mango to earthly notes with pepper hot aftertaste. It is kind of drinkable but I can see becoming sipping cider. We like spicing things up. That’s why we put dimmers on the lights in our Cider House. And it’s why we created this sweet, heated blend of Habanero Pepper, mango and our famous Blake’s apple. Experience a hard cider that’s really, honestly, truly like no other. Experience El Chavo. New Beer Blog Why And Why Not Drink Local Craft Beers And Ciders? Why Drink Local Craft Beers And Ciders? It is pretty simple. Money stays in the state and/or the local area. There will be more jobs created because of these breweries. The money keeps coming in and out of the brewery. It works if the brewery is buying supplies from local companies and most do this practice. Most craft breweries take homes in old and empties buildings. They resolve these old buildings back to the way they were back in their heyday. Of course, they put their brewery and restaurant in them. The other things that these breweries in most cases. They create more jobs at distributors. They hire a marketing firm or their own people to run it. Just like most businesses, they will put money back in the economy. Why Not Drink Local Craft Beers And Ciders? I get beat up about half of the time when I bring this up to people at craft beer bars or stores in my local market. I get it because everyone wants to support their local businesses and I am one of them. I have to be honest with myself and others around me. I heard this when I lived in Chicago and now here in the Michigan. When traveling to other cities around the US, I saw these same signs and heard it from the locals. When trying these beers or ciders at home or your local watering hole, be honest to yourself because it will save you from the painful drinking experience. I had a pretty ugly drinking experience with a local craft brewery in Chicago. I kept on telling myself that I love this beer and brewery. I just finally admitted to myself that they are not that good. I started to look at local craft brewery in a different light. I give breweries credit when they put a good beer to the market. I also give them credit for thinking outside the box. In this beer (mead) blog, we are going to get into a style that many people might not know about. It is mead. I am kind of new to mead scene but my studies, I know what a mead is. I just need to try them. I will get into the history of mead and then Meadery featured on this post. I am talking about B. Nektar Meadery. 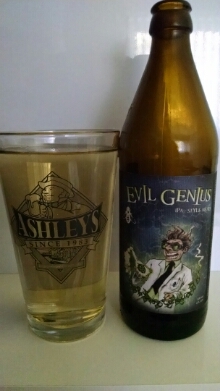 The mead being feature is Evil Geniues IPA Style Mead. Mead is a honey and water with fruits, hops, grains, and other spices to add character. It is a wine base product. It is normally made as a base of a honey wine. B. Nektar Meadery was founded in Ferndale, Michigan in 2006. Brad and Kerri Dahlhofer founded this meadery. They make several different mead styles. They sell their products around the country but mainly the midwest to the east coast. Let us get into this Mead. It has a bright yellow to white color without a head on this Mead. The aroma has a honey with a hint of earthy notes. The taste has a sweet honey with earthy undertones. The aftertaste has sweet honey with a slight bitter finish. It is pretty drinkable. In an obsure industrial lair resides the man known only as the evil Dr. IPA. Using his hadron collider hidden deep underground, he has conducted his most remarkable experiment to date. The result is a perfect balance of honey and hops. But there are side effects… his lab rats can’t get enough of the stuff. And soon, neither will you. Introducing the Evil Genius. The big bang is no longer a theory, it’s your reality. In this fall seasonal cider blog, we are going to get into one of two fall seasonals from Woodchuck Hard Cider. This is their everyday seasonal cider. It is apple pie cider. If you read earlier beer blog posts about their ciders, you know the history of this cider makers. If you have not read those posts, please, read them to get to know Woodchuck. Let us get into this fall cider. It has a clear dark golden color without a head. The smell has an apple pie notes of cinnamon and apple. The taste a cinnamon up front sweetest notes and finish like an apple pie aftertaste. It is pretty drinkable beer. The fall harvest brings farmers and communities together to celebrate another year of fruitful labor. It is a time of shorter days, cooler nights, and great apples. This cider has a complex and elegant character full of apple, cinnamon, and nutmeg balanced out with a hint of american white oak. A true taste of the season. New Beer Blog What Is Good Beer? In this special beer blog, we are going to take in-depth look at beer. What is good or bad? How do we come up with this conclusion? Many of you know, I have been drinking beer for a while. I started like everyone from the Bud Lights and moved up to all the craft beers. Most craft breweries around the country know of me or know me. I started as a Metal DJ on STFU.Fm. The station shut down but before that I started to feature craft beer on the air while playing music. After the station, I started document the beers that I had in my life time. This blog was for me to go back and see if my thoughts grown. Plus, I have always wanted to be a writer. I know I am not the best on spelling and grammar, however, I believe I have improved because of this blog. I just want to say thank you for coming by reading, and putting up with my errors. This blog also made me a better beer drinker. I have learned more about each beer style. I am finding out I like all styles and it is including wheat beers. I am still writing music and sports review. I wanted to give you a little more about myself. When I thought about writing this “What Is Good Beer?” I will not point out breweries. I am not calling out anyone. Let us see if we can answer this question. I know several craft beer drinkers will jump to the answer. It is the little guys, who are Craft Breweries. Is that because they do not make a golden lager or the companies that make it? Craft Breweries make different beer styles asides the American Style Lager. They will make Pale Ales to Porter to Stouts and sometimes even a German Style Lager. Is Good Beer is more selection or “Flavor”? “Flavor” has been toss out there. A little style of the American Golden Lager. German immigrants wanted to have their beers here in the States. This is where American Golden Lager came from. Is it a ton of Ads to make the beer better? Mass produced? There is a brewery in the big Midwest brewery that puts their beer through hard test make sure their quality is the highest. It is make sure that their beers are up to their standards and constant. Is that a bad thing? There are other things wrong with the mass-produced beer companies. It is the fact they put other things into their beers. However, it adds to their cost, they make less on their beers. Mass produced beer market is getting smaller everyday. They put these items into their beers to get it as close to their old country style. More and more people are drinking craft beers. The question is their beer better or good. Yes, it has a ton more flavor and that is the first thing anyone says. I agree with that. I see in every state, please, drink local. There is nothing wrong with that. The problem that I have is most of the newer beer companies out there are making some bad beer. I do not mean bad in the beer will hurt you. I mean it is just not good beer. What about the craft breweries? Some of the smaller breweries do not put their beers through as many tests like the bigger breweries. This leads to inconstant batches of beer. This is not a good thing when you like that beer. When you try the beer for the first time and do not like it, the quality might be the issue. Beer drinkers might be turn off and never try it again. Is this a good beer? I get it that most breweries do not have the capital to do all tests. I am not saying this is a case for all these small craft breweries. Some little craft breweries do not even have labs to test anything.